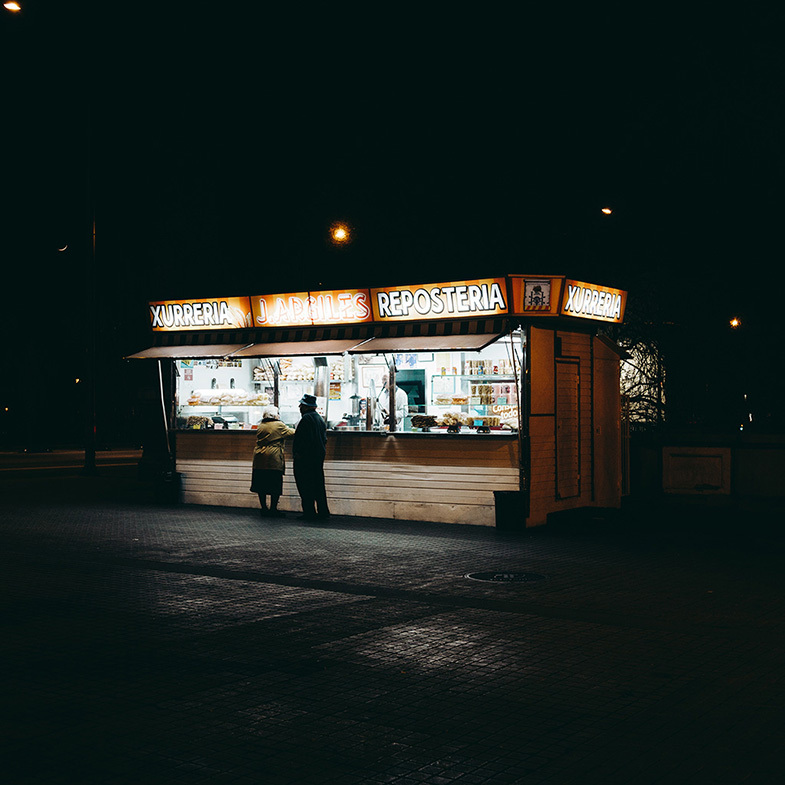 Traditional stalls that sell churros, the popular Spanish fried-dough pastry-based snack, may have their days numbered in the city of Barcelona. In 1990, its city council decided to stop granting new licenses for their permanent installation in the public space. The current regulation only allows the transfer of licenses between relatives in the first degree of consanguinity, that is, from parents to children. But, in most cases, they are not interested in taking over the business. 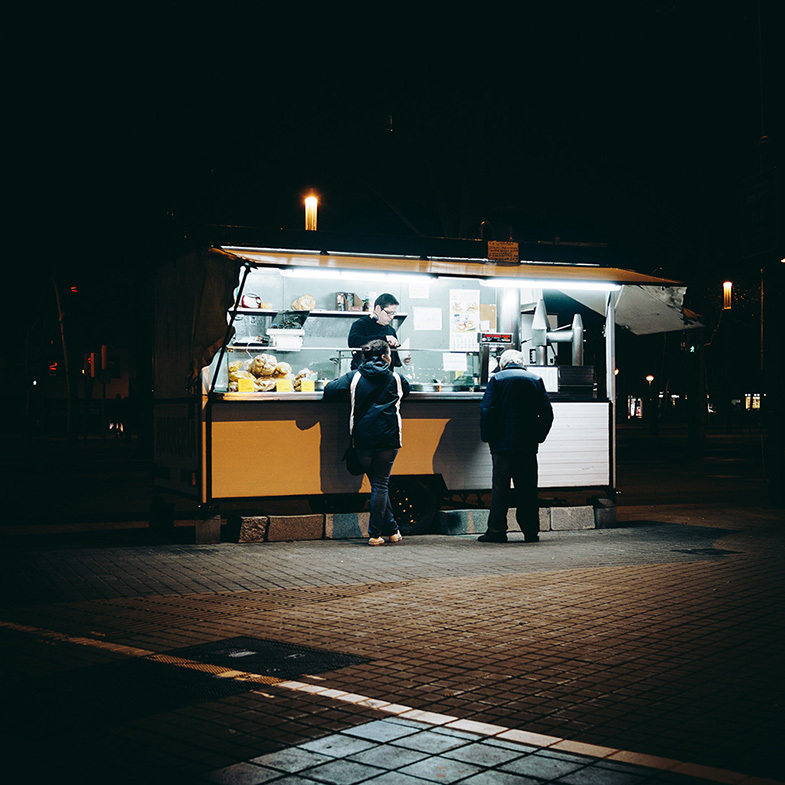 The lack of generational changeover adds up to a drop in sales due to the current economic crisis, putting these businesses at risk. These two factors have forced many owners to finally pull the plug. At the moment, there are only over twenty stalls in the whole city, very few compared to the about 70 that existed 25 years ago. 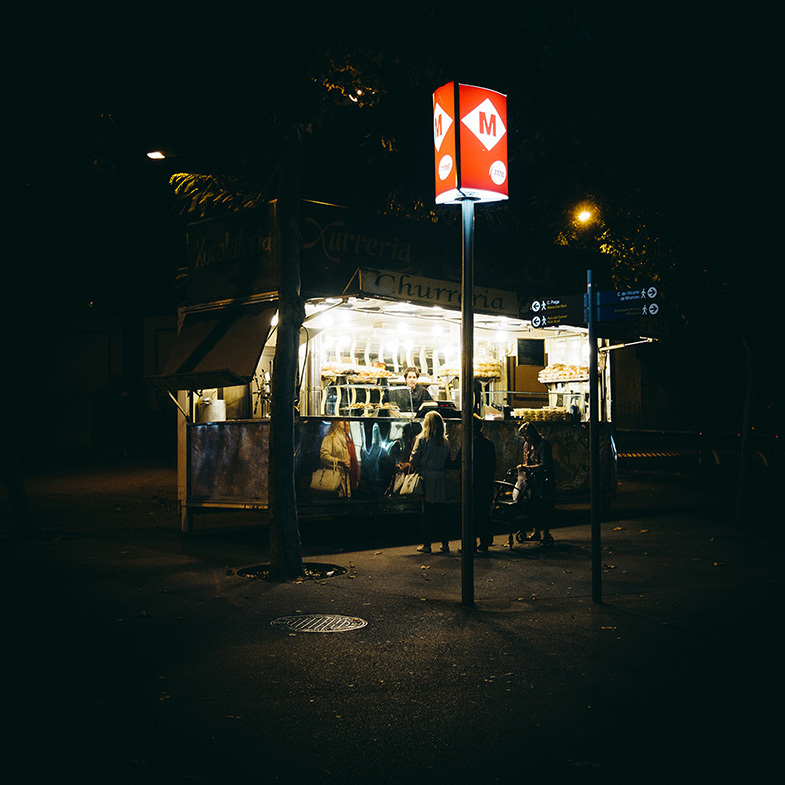 If no legal changes are made, in a few years churro stalls will no longer be a part of Barcelona’s urban landscape. 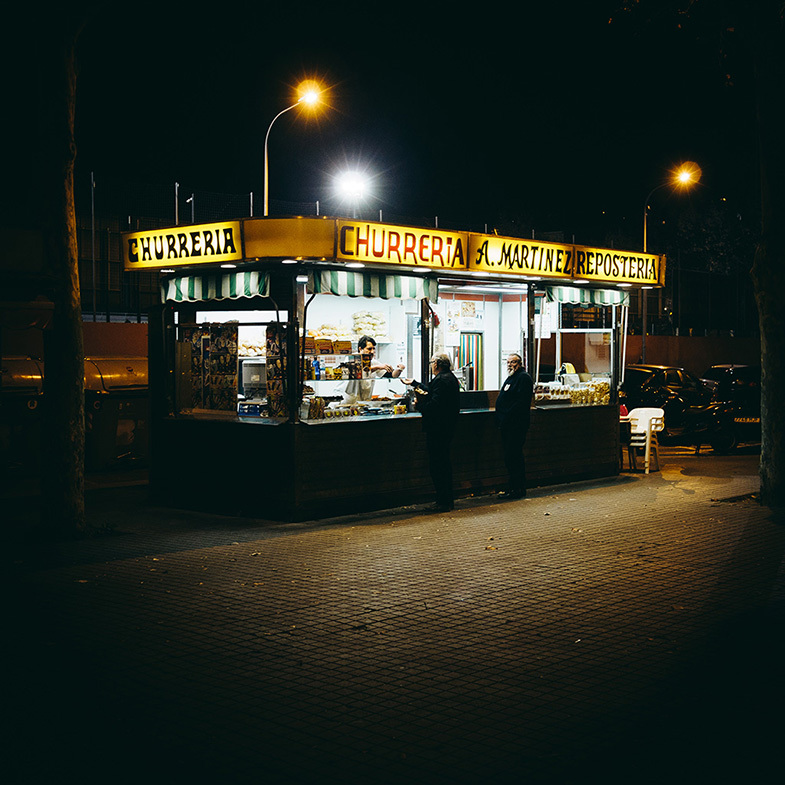 The Urgell Cantonada Borrell series catalogues the few stalls still open today. 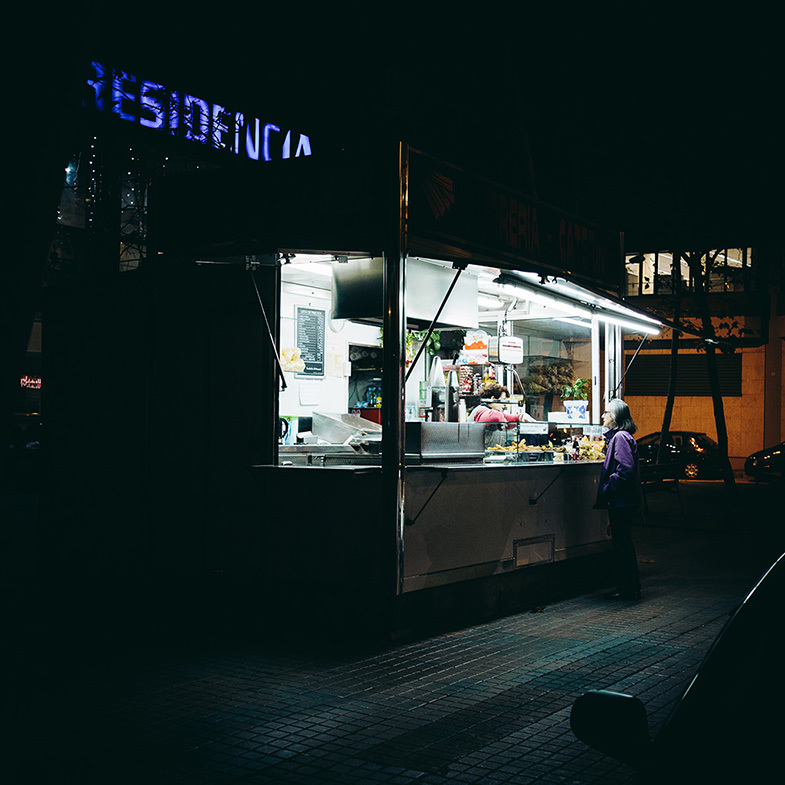 The title of the project is a reference to a popular Catalan children’s song that talks about an imaginary churro stall located at the junction of Urgell and Borrell streets in Barcelona, an impossible intersection, as both streets are parallel. The project explores the loss of one’s own childhood emotional landscape on a personal level and the loss of identity of big cities on a more general level.